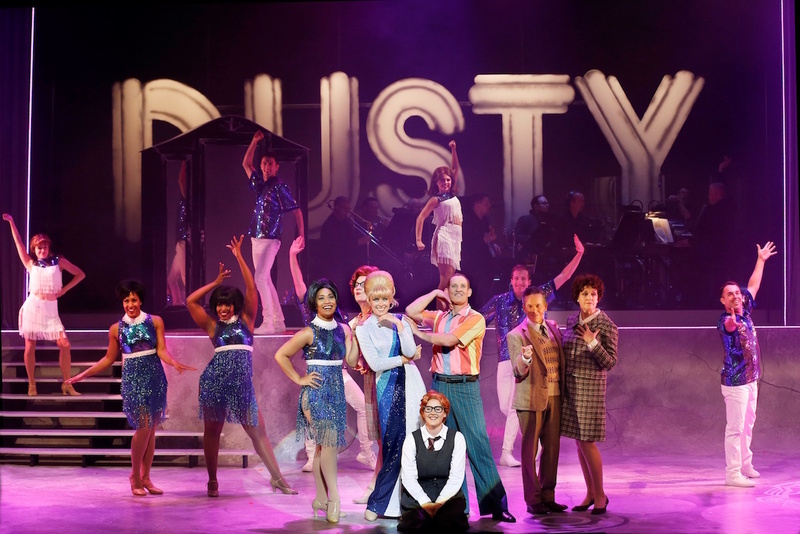 A jukebox bio-musical, Dusty features more than two dozen songs and a fascinating central character. 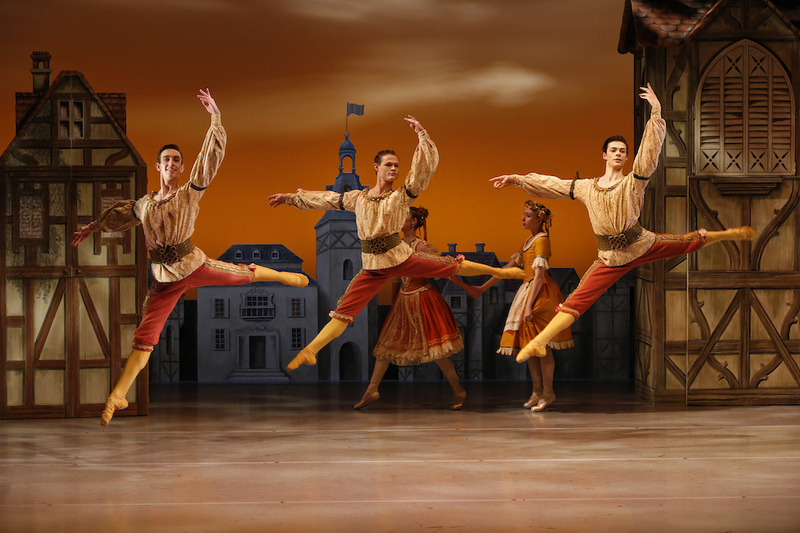 As performed by a flexible nine-piece band and a company of strong singers, the terrific music is sure to bring wonderful reminiscences to Baby Boomer audience members. Unfortunately, the quality of the music is not matched by the leaden, overly ambitious book, written by John Michael Howson, David Mitchell and Melvyn Morrow. Taking pop diva Dusty all the way from tubby redheaded teen tomboy to international star to tragic cancer victim, the story covers so much ground that it cannot avoid clunky exposition and numerous quick jumps in narrative. In pursuit of her “sound,” Dusty’s drive pushes her through phases of her career so quickly it is hard to take each one in. Supporting characters are sketchily drawn, with Dusty’s hairdresser, dresser, lover and parents having little or no life outside Dusty’s magnetic orbit. Some songs support the storytelling, but many just stop the show (and not in the complimentary way that term is usually used). The overall result is a musical production that is passively admired rather than one that is absorbing, thrilling and affecting. One very successful device the writers use is the inclusion of Dusty’s younger self throughout the show. Young redheaded, bespectacled Mary O’Brien grounds glamorous pop diva Dusty, reminding her of her origins and her dreams. 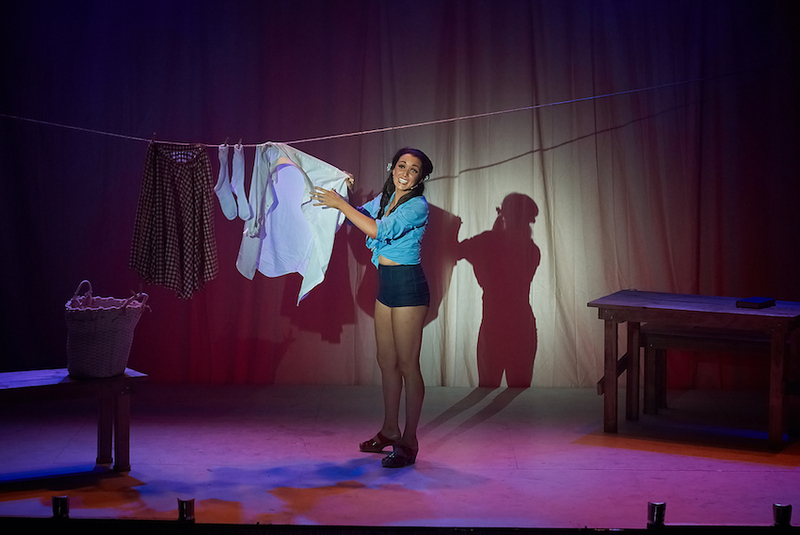 Recent graduate Baylie Carson makes an excellent professional debut as Mary, maintaining an ungainly, self-conscious stature and singing with a pure, powerful belt that clearly portends Dusty’s success. The engaging interaction between Dusty and Mary is just one example of the chemistry generated by the generous stage presence of Lehpamer. The supporting characters may not be fleshed out, but the importance of each one is unmistakably telegraphed by the warmth, passion and tears that emanate from Lehpamer. In his first engagement with The Production Company, director Jason Langley keeps the action moving smoothly. While some fault lies with the book, and only so much can be achieved in a relatively short rehearsal period, Langley does not deliver any particular verve or innovation that may have pepped up proceedings. Blessed with an incredibly gifted leading lady, Langley makes optimal use of Lehpamer’s charm and flair. Langley successfully negotiates the transition to a darker tone for the show’s final minutes, avoiding melodrama with a believable dose of reality. Musical director Michael Tyack derives multiple musical styles from a band of only nine musicians (including himself on piano). 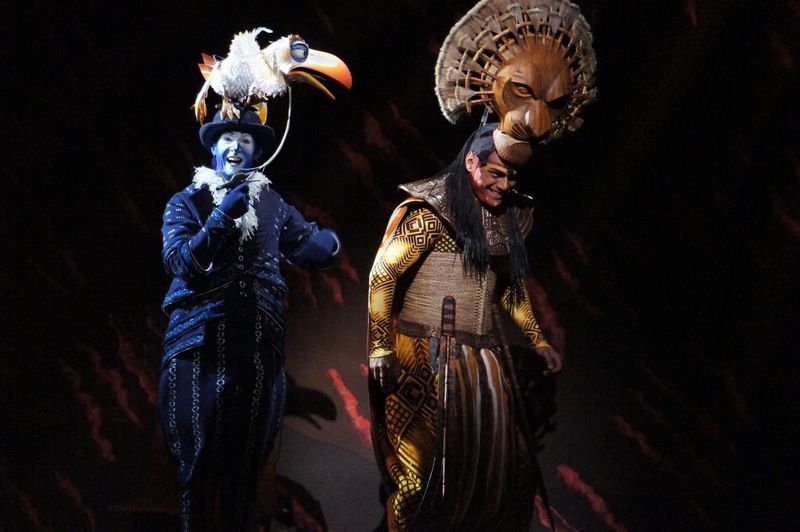 Chorus harmonies are strong and clear, with all cast members successfully delivering the range of vocal styles required by the spectrum of songs from across the decades. Sound design by System Sound is perfectly clear but not particularly immersive, as would have befitted the performance of so many pop songs. Michael Ralph tells a story of pop history and cross-cultural progression, cleverly matching movement to each era and genre. 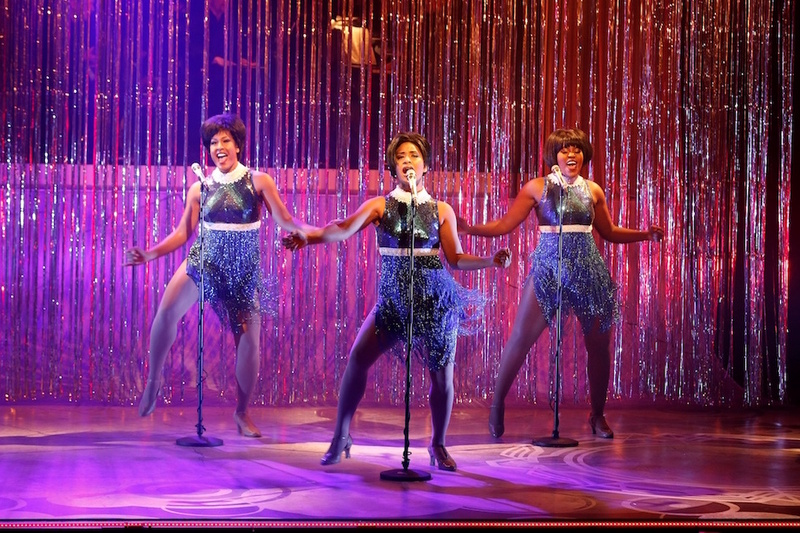 The integration of Dusty’s new US colleagues The Supremes and her British TV dancers is a highlight, set to the toe-tapping tunes “Dancin’ in the Street” and “My Generation.” Ralph’s work is again characterised by invention and sharp precision, and is a pleasure to watch. Yet another story to be told is one of emerging freedom through fashion. 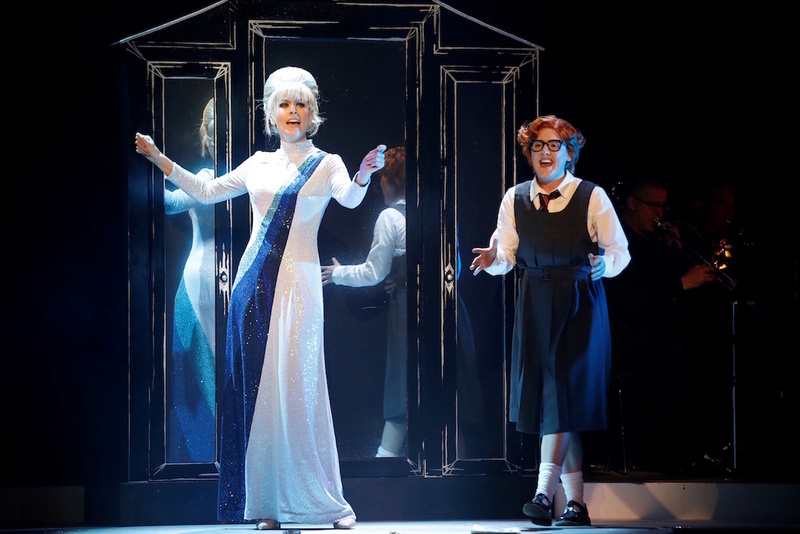 Costume designer Isaac Lummis excels himself, delivering a glittering wardrobe of witty, eye-catching outfits that propel the characters through the decades and across the social and cultural divides. Each of Dusty’s gowns is divine, and her arc from dumpy schoolgirl to emerging star to chic beauty to blowsy chanteuse is very well charted. A particularly clever touch comes when a drag queen wears an exaggerated version of one of Dusty’s signature gowns. The ensemble cast also sports innumerable purpose-made costumes, and both ensemble and lead performers benefit from Trent Whitmore’s extraordinary collection of beautifully coiffured wigs. 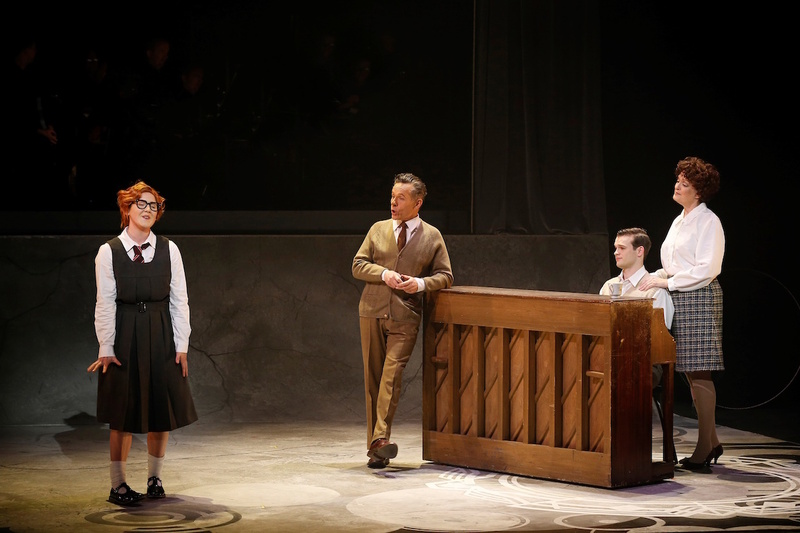 Placing the band upstage, set designer Anna Cordingley creates a large, clear performance space that brings a slightly more fully realised feel than a traditional concert staging. Removing the stage legs on both sides adds to the sense of space and allows seamless movement of set elements. Lehpamer immerses herself in the character, deftly differentiating the alluring public figure with the troubled private woman plagued by gnawing insecurities and a tendency to erupt in tantrums. Lehpamer sings the role superbly, delivering powerhouse vocals for the big hits, and also expressing the effects of aging, drinking and ongoing self-doubt on her voice. 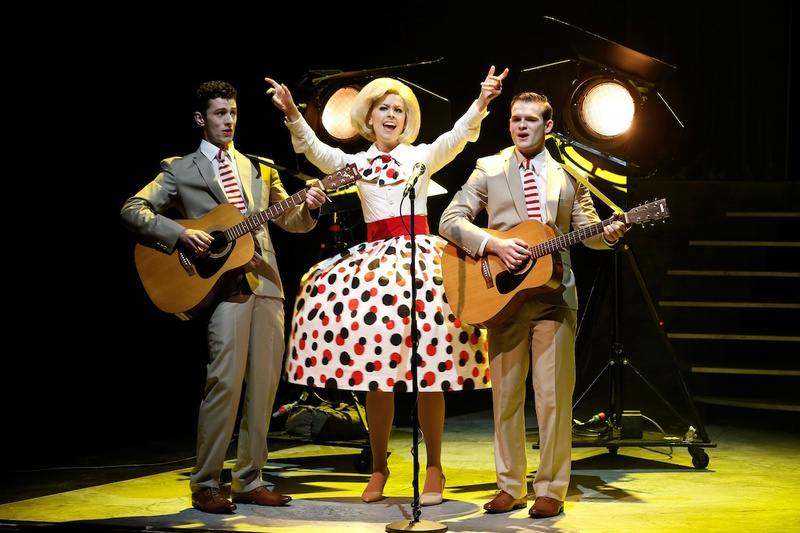 Returning to The Production Company stage a bona fide star, Lehpamer fulfills the potential shown in 2009’s Dirty Rotten Scoundrels, when her voice thrillingly filled the State Theatre as soap heiress Christine Colgate*. 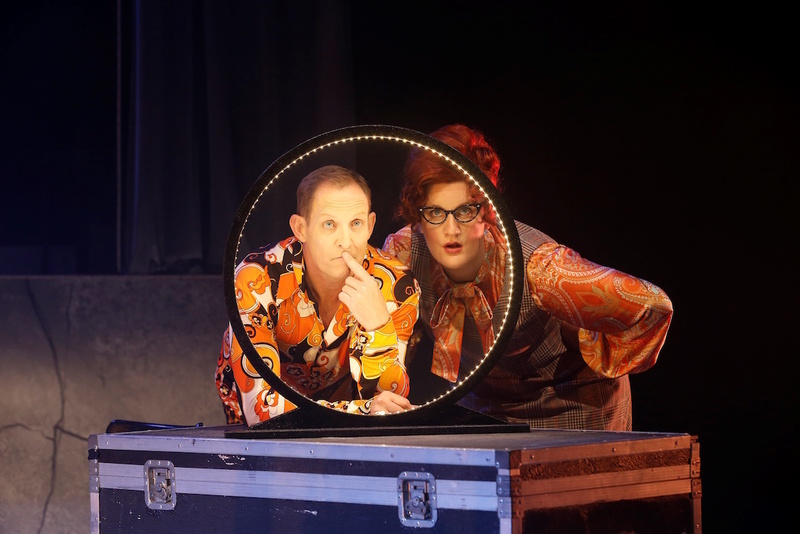 Todd McKenney, as sexless, camp hairdresser Rodney, and Virginia Gay, as sexless, camp dresser Peg, add star power to the marquee, but the truly unique talents of each of these performers is squandered in underwritten supporting roles. Wigs and strong accents also impede the pair’s natural charisma. As Dusty’s one true love Reno, Elenoa Rokobaro sings the role with raunchy power, but suffers from being given a role with no backstory or context from which the audience could form an opinion or an attachment. Reservations aside, lovers of the pop/soul fusion of 1950s and 60s music will find plenty to enjoy at Dusty. 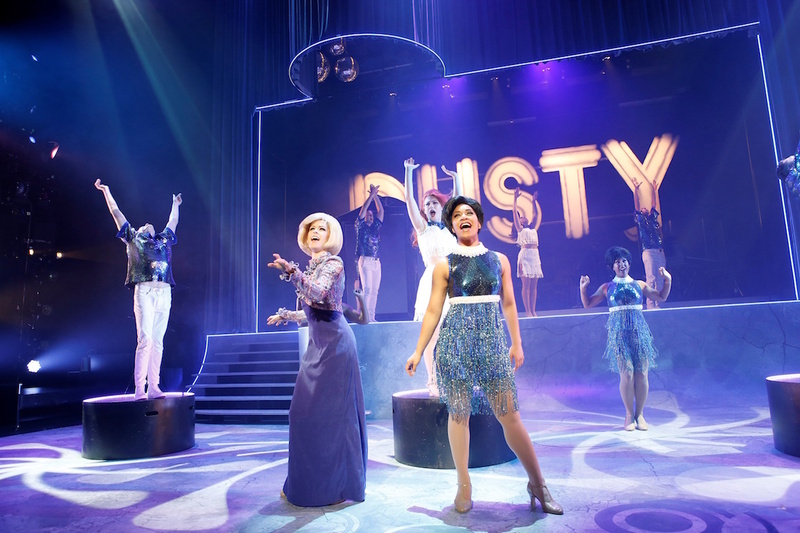 Dusty plays at Playhouse, Arts Centre Melbourne until 4 December 2016. I also went on to write: “Brilliantly talented as she was in the role, Lehpamer was let down by a hideous wig and completely unflattering costumes.” Thankfully the very opposite is the case in Dusty.